There are many religions in the current world, and most of them also have some beliefs, traditions and superstitions, associated with numbers. Religions believe that all numbers carry special meaning, which may contain hidden secrets of our universe. Every number from 1 to 9 is associated with a certain color, god or goddess, gemstones, flowers. Such genre of literature s often referred to as the Biblical numerology and along with that you will encounter many references to a Bible Numerology in the text of this article. The number one is of great significance, be it in any language it always stands for unity. It can said to be having two aspects, one as a cardinal number where it represents unity and other as an ordinal number where it denotes primacy. Since number one is indivisible and is not made up of other numbers, this shows its self sufficiency. It is also the source of all other numbers. The same is with the God; God is self sufficient, independent and is the source of all. All need Him and He does not need anybody. One does not either stay in harmony with any other number neither is in conflict with any, hence this number excludes all differences that exist. In the Bible it is written “Hear, O Israel, the Lord thy God, is ONE Lord”. Thus number one is the number of the God and denies the Bible denies the existence of another God. So number one is God’s number. The first commandment among the Ten Commandments says “Thou shalt have no other Gods”. So in every occurrence number one represents One God and says another God cannot exist. The number two has a great significance in the Bible. Number one stands for unity and stands for no differences but the number two is affirmative of the differences that exist. Thus number two says there is another while number one is for no other. The difference that number two represents may be good or may be bad. This means that good can differ from evil or evil could differ from good. Thus number two has a two fold significance which is relevant is decided according to the context. It is the first number which can divide any other number therefore it is a supporter of the basic fundamental division. When related to man the number two signifies his fall and the differences imply opposition, enmity and oppression. In the Creation the second thing that is recorded is light, and immediately it is related to division because God had divided light from darkness. Therefore the second day of creation saw divisions. The second chapter of the Bible talks about God’s creation of Adam and thus marks the beginning of God’s relationship with man. This consequently also marks the commencement of man’s disobedience towards God and his separation from the God. Bible numerology number 3 stands for the Trinity, trine and triad which are the three dimensions namely, Father, the Son and the Holy Spirit or Ghost. In a broader way, the bible number 3 symbolizes growth and multiplication. There were three disciples of God- Peter, John and James- who accompanied Jesus Christ to the garden of Gethsemane. These disciples symbolize light, love and life respectively. In the Bible, Jesus Christ asked Peter “Lovest thou me?” three times that refer to the love over three surfaces of consciousness, namely, the conscious mind, the superconscious mind and the subconscious mind. It is also avers that if all the three planes of consciousness agrees to club together, the power of Christ will prevail. 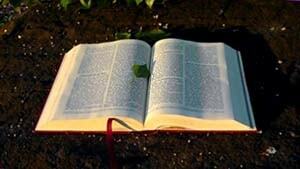 The bible number 3 is very vital in the story of Jesus Christ or one can say His story is a story of number 3. Jesus was denied by Peter thrice and after three days he rose. He was crucified in between two thieves that symbolize the divine system of faith and belief. Twelve is the higher vibration of the number three and Jesus sat with twelve of his disciples. Also the Judas haggled for thirty silver pieces which is again a vibration of bible number three. Bible numerology number 4 comprises of two numbers- three and one- which denotes what comes next to the revelation of the Almighty in the Trinity. Number four denotes the Creations made by the God, in other words, all the things you see around. Four great elements of the universe, namely, earth, fire, air and water, the four regions of the mother earth- east, west, north, south- and four divisions of the day that goes as morning, evening, noon and midnight. In a year, there are four seasons, summer, autumn, spring and winters, four sides of a square and also there are four major variations of the phases of the moon. All these are the material creations by the God which were followed by the fifth and sixth day that marked the furnishing and the peopling of the planet with the creatures or you can say with life. In one of the verses of the Holy Bible, there is a river of paradise that parted into four heads and therefore bible numerology number 4 also denotes division. The number four is the square of number 2, so it also marks the Material completeness, which is a kind of wholeness, as mentioned in the Book. The number 5 in the Bible is significant because his creation, the ‘man’ has five fingers, five senses and five toes. Thus it is the number of God’s grace. There are five great mysteries: Father, Son, Spirit, Creation and Redemption. After the fall of man creation was cursed and it became subject to vanity. So man and creation needed to be redeemed therefore number 5 is the number of God’s grace. The number five may also speak of the inability of man and his weakness as only when ‘man’ is weak does he needs God’s Grace. As only if a man is incapable, he would require God’s Grace. Number 4 signifies man’s weakness and helplessness and number 5 i.e. 4+1 shows divine strength added to man’s weakness and vanity which of course, means God’s grace. Gematria is the name given to the process of assigning numbers to different words. The gematria of the word Earth would be 296 which, in fact, is a multiple of 4 and the gematria of the word Heaven is 395, which is a multiple of 5. Therefore, Earth, which is the land of the man, is synonymous to his weakness and vanity and Heaven is synonymous of God’s grace. But what do you mean by grace? Grace means favor, an act of kindness and support and favor can be of many types. Favor that is done for the unworthy, favor that is done for someone who doesn’t deserve it, that favor is called grace. God called upon Abram and promised to make his name great. Was there any reason behind it? Did God do that for any purpose? No. He did it without any cause, without any particular reason. This was an instance of God’s grace towards his creation. The number 6 is significant in the Bible because it is the number of Man, the number of imperfection in man’s work. It is a human number. It implies man’s existence sans God, sans Christ. The number 6 is concerned and related only to man. Six can be represented in various forms like 4+2, 4 represents man’s world and 2 shows man’s enmity with God or 5+1 where 5 represents God’s grace but 5+1 means that god’s grace is made futile with addition of perversion and corruption by man. 6 can also be written as 7-1 which means man is not able to attain spiritual perfection, i.e. he is falling short of attaining spiritual perfection. Thus, number 6 in the Bible is related to man and his imperfections or shortcomings. According to the Bible man was created on the sixth day so this number has been permanently impressed upon him. Also six days were given to man to do labor and to toil and work one day has been as rest, to connect with God. Number six is stamped upon everything that is related with man’s labor, be it measurements he works with or the time during which he works. For example the unit of measurement the foot is equal to 12 inches which is a multiple of 6 (12=2X6). The day consists of 24 hours (24=6X4), a day is divided into day and night each of 12 hours, an hour has 60 minutes (60=6X10), a minute again has 60 seconds. Also the serpent or the snake was created on the sixth day and the Sixth Commandments (among the Ten Commandments) talks about the worst sin i.e. murder. The number seven is one of the most significant numbers of the Bible because it is the number of spiritual perfection. It is the number which is stamped on every work of God. We can observe the importance of this number in nature too. Be it physics, chemistry or music we can see they are all based on this number of God’s work. All music that is created is based on seven basic notes of music, the eight note is just a higher or lower octave. If light is passed through a prism then it splits into seven parts, this is known by a very famous abbreviation VIBGYOR. There are seven basic crystal systems in minerals. Even in the periodic table we can observe that there are seven levels of periodicity. Therefore it is often said that the Holy Bible is the master textbook of all sciences be it physics,, chemistry or music. Seven occurs 287 times in the scriptures 287= 7X41. The fraction seventh also occurs 98 times 98=7X14. The words seven-fold also occur 7 times. It is observed that all these numbers are multiples of seven but it is very remarkable to note that 287+98+7=392 and 392 is eight times square of 7. Seven is made up of two numbers four and three. Four being the perfect world number and three the number of divine perfection. The number seven is most sacred to the Hebrews. Therefore it represents a perfect world which is crowned by heaven. So seven denotes completeness through union of earth with heaven. There are seven churches, seven spirits, seven stars, seven seals, seven trumpets, seven dooms, seven new things, seven personages, etc. The number eight in the Bible signifies Resurrection and Regeneration. It is the number of a new beginning. Eight is 7 plus 1 and since it comes just after seven, which itself signifies an end to something, so eight is also associated with the beginning of a new era or that of a new order. In the bible one can find many examples which bring forth and which associate the number eight with a new beginning. One such example is of Noah. When the whole earth was covered in floods, it was Noah the eighth person who stepped out and took the responsibility of starting a new era of life, to commence new order of things. The resurrection of Christ is also one fine example of this. The resurrection of Jesus is the ultimate new beginning. It is said in The Bible that Jesus rose on the first day of the next week from the day he was crucified. Thus again it was Eighth day which was chosen by God. The eighth day marked the beginning of new life form. Thus we can see that the number eight in the Bible signifies resurrection and new beginning. Not only this, there have been eight different resurrections in the Bible. Out of which three can be seen in the Old Testament, Three can be seen in the Gospels and the remaining two can be read in the Acts 9 and 40. There were eight miracles of Elijah as told in the bible. And God made eight covenants with Abraham. Most of the religions maintain numbers carry hidden meanings which are supposed to carry the secrets of universe. Every number is associated with gods, goddesses, gemstones, superstitions, colours, flowers etc. As such many people refer biblical numerology as it contains numerous achievements while Etchegoyen called it an expression of the power of the Holy Spirit. The number 9 is seen an eternal number of human immortality when it comes to freemasons. The biblical number 9 was taken as sacred in Greece and Egypt as well. It is the last number of finalization and is therefore considered as the most complex and the number marking the full lighting up of numerical series. It is also the number of man and depicts gestation which is also a period of nine months. It is the number of hierarchy; it represented nine choruses of angels. It is also a favourable number associated to the eternity. Biblical number nine is a symbol of multitude and totality of human being according to Parmenides. It represents three divine manifestations through three plans which are world of spirit, world of soul, world of matter thus giving it a triple manifestation of 3 x 3. According to bible, number 9 has got a lot of spiritual significance. When Jesus Christ was nailed on the cross, he expires at the ninth hour. Also Jesus appears a total of nine times to his apostles and disciplines after his resurrection. As specified by Saint Paul, there are nine spiritual gifts of God which are wisdom, knowledge, faith, gift of healing, to operate miracles, prophecy, discreetness of spirits, tongues and to interpret them. Also Saint Paul listed nine fruits of spirit which are love, joy. Peace, patience, kindness, goodness, truthfulness, gentleness and self control. Number nine is also associated with Hoshea, son of Elah who became king of Israel in Samaria and ruled for nine years. A very holy saying from Jesus Ben Sira in Ecclesiastic also supports the holiness of biblical number nine. He says, “There are nine things I can think of which strike me as happy and a tenth one which is now my tongue”. The biblical numerology behind number 10 revolves around 10 commandments that were delivered to Israelites after his exposure to Mount Sinai. Also this number is about 10 Plagues of Egypt and 10 nations. The gods associated with number 1 are the Atlas, the Greek God who bears the weight of world on his shoulders and God Uranus who is deeply concerned with technology and imagination. The biblical meaning of number 10 is completed course of time or completeness in divine order. Today this number is used only when referring to any kind of ranking or when describing anything that is near to perfection. Number 10 is the symbol of matter in harmony. This number represents creator and the creation. Pythagoras said that number 10 is the symbol of universe and that it expressed the entire human knowledge. 5+5 gives number 10 which represents two opposite sides of conscience- involution and evolution. Zero in number 10 symbolizes a unit and number 1 completing it showing that this number contains all proceeding numbers as a whole contains its parts. The number 10 is considered as the most perfect of all numbers. This is because it contains the unit which makes it distinct and zero which depicts matter and chaos and is also related to created and non-created, power and force, life and nothing and the beginning and end. As illustrated in bible, number 11 has all negatives attached to it. Biblical numerology describes number 11 representing imperfection, disorder, disintegration, dis-organization and chaos. Few examples can be cited as ;there were 11 dukes of Edom that were constantly at war with Israel, also 11 sons of Jacob bought disintegration to the family. Not to forget September 11 as one of the noteworthy examples to illustrate negatives associated with the number 11. Many think that number 11 is to do with biblical prophecy. Others believe that it is the 11th hour i.e. time right before the holocaust and mass destruction. It is written in bible that in last day’s disorder and confusion would escalate and we can see the signs now. Example being havoc in Japan in 2011.Hence we can say that number 11 and biblical numerology go hand in hand. Many firm believers of biblical numerology states that end of the world is about to come as many astronomers gave us the date of mass destruction i.e. 2012.Recent evidences push us to believe this. Tremors in New Zealand, followed by massive tsunami in Japan to list a few. If it is true what is scribbled in bible this is for sure end of days and make sure you do enough good deeds before facing the almighty on the judgment day. It can be said as 2nd coming of Christ or another Armageddon. According to New testaments, there were 12 apostles of the Christ who are named as Peter, James and John, Thomas, Andrew, Philip, Matthew, Bartholomew, James, son of Alphaeus, Zealot, Judas Iscariot and Jud, son of James. In the Bible, there was a woman who was relieved by Jesus Christ from her 12 years long curse of hemorrhage. In Old testaments, in the celestial city, there were twelve gates and twelve types of precious stones. A woman wore a crown with twelve stars in it and also there was a tree of life that bears twelve crops of fruits, one fruit in one month in a year. There were twelve sons of Ishmael and twelve priests of the Chronicles. There were twelve stones of the altar of Elijah and of the alliance. On the pectoral, you will find twelve names engraved. On the golden table, there were twelve loaves of enduring offerings. For confining the choice of Aaron, there was the total of twelve branches. The number of explorers sent to Canaan is also twelve. The number 13 as we all are aware is related to bad omen. It has the same significance in the Biblical numerology, it is connected with revolts, rebellion, corruption and disintegration. The number thirteen or its multiples in every occurrence in the Bible is related with revolution or a kindred idea. Many superstitions are related to this number of ill-omen. The first occurrence of the number 13 is found in Genesis 14:4 where it is said “Twelve years the served Chedorlaomer, and the thirteenth year they rebelled”. The second occurrence is recorded in reference to Ishmael in Genesis 17:25, he was thirteen years old when Abraham circumcised him and he was admitted to the covenant, and this ended in his rebellion and rejection. So we see every where the number thirteen occurs it is related to apostasy, rebellion and corruption. The number 13 has always been surrounded with superstition and has been considered dark and related to something bad. The gematria (number assigned to words) of dragon is 975 (975= 13X75). Belial which personifies evil has a gematria of 78 (13X6), Anthropoktonos which means murderer has a value of 1820 (13X40). The names of the Lord and his supporters all have a value which is a multiple of 8 whereas God’s enemies and all those who rebelled have a value which is a multiple of 13. This is a very remarkable observation that all those who apostatized against God their names have a Gematria of thirteen. The destruction of the city of Jericho is also related with the number 13 not because of the gematria but the reason was that the city was compassed once for first six days and then seven times on the last (seventh) day, which makes it a total of thirteen. The serpent, the lion, the tempter all has a gematria which is a multiple of the number thirteen. The scattering of the nation is said to occur in the year of Peleg, the gematria of whose name is a multiple of thirteen. The word ‘zumee’ occurs thirteen times in the New Testament and it is related to corruption. Thus proving that anything that occurs thirteen times or has the number thirteen impresses upon it then it is somehow related to corruption and rebellion and apostasy. The number of famines that have been recorded in the scriptures is also thirteen Genesis 12:10, Genesis 26:1, Genesis 41:54, Ruth 1:1, 2 Samuel 21:1, 1 Kings 18:1, 2 Kings 4:38, 2 Kings 7:4, 2 Kings 25:3, Nehemiah 5:3, Jeremiah 14:1, Luke 15:14, Acts 11:28 and famines cause destruction and disintegration. Nowadays Holy Bible is the most popular book in the world. We will observe it from the numerological point of view, because Bible hides a lot of secret codes with sacred meaning.